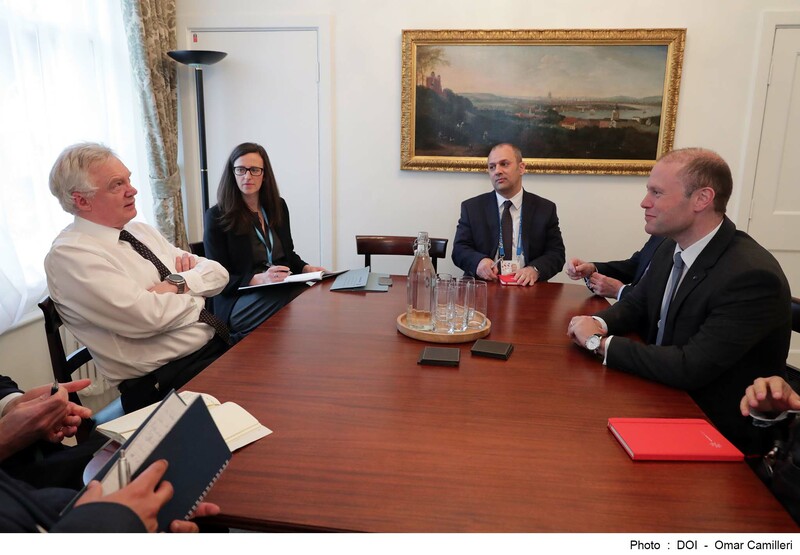 PM Joseph Muscat is holding talks in London with the British Minister for Brexit, David Davis. The last time the two sides met was in Castille at the beginning of last month and during today’s meeting Davis updated the PM on the negotiations between the UK and the EU. The two sides spoke about the future relationship between their respective countries and both agreed that the strong relations between Malta and the UK will continue after Brexit.